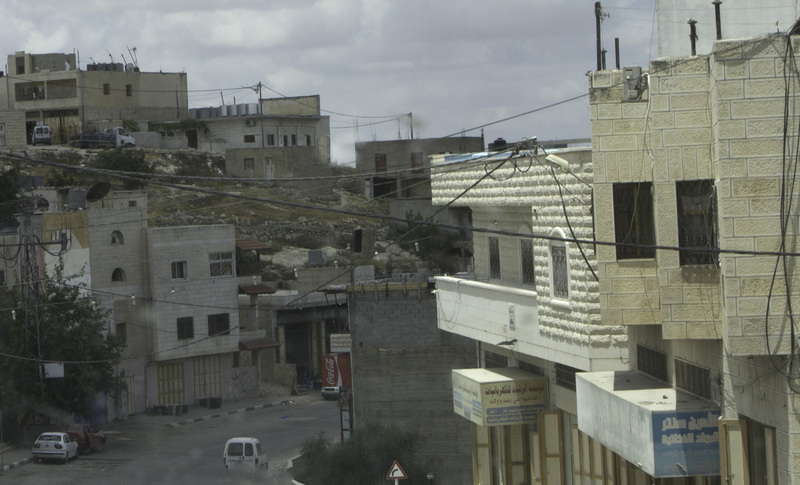 In South Hebron, vision is obstructed in ways that are clearly visible. by working on significant projects. 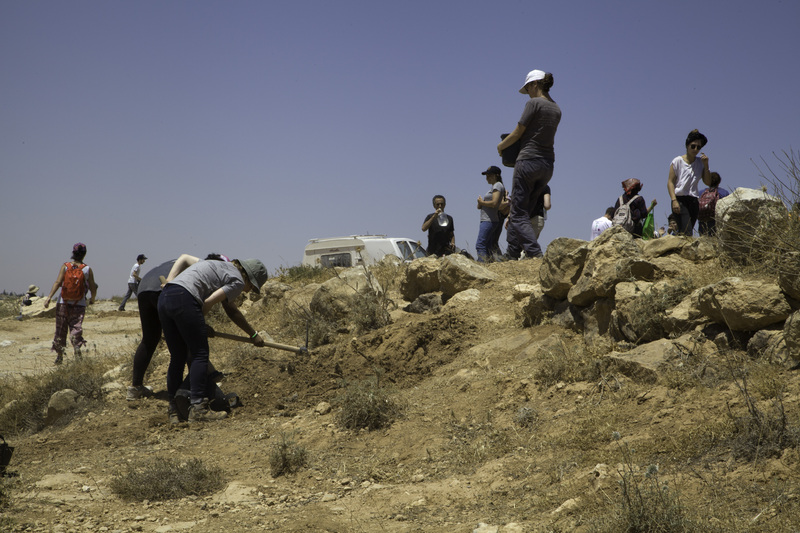 Some 70 young women and men participated, joined on Saturday by Israelis from activist organizations like Ta’ayush. 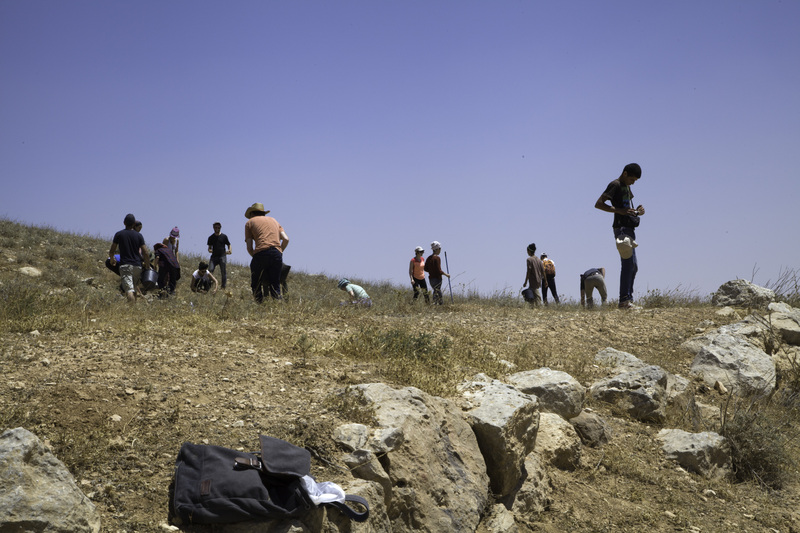 Because of the demolition threat, Susiya has become a symbol of anti-occupation work and supporters of the boycott against Israeli products made in settlements. 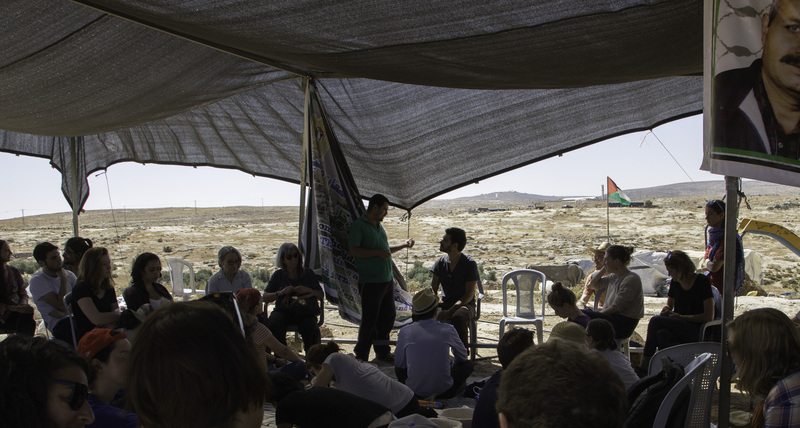 A few weeks ago Susiya hosted representatives of the European Union in the same tent where All That’s Left is meeting this week. A road used by the village is badly damaged. Initially the young activists believed that they could bring construction materials and equipment and pave the road properly. More seasoned activists from the village and from Israel were able to help them better channel their energy and enthusiasm. It is important to face the reality of the situation and abandon the assumptions you bring with you, both about tangible matters like building roads and intangible matters like how to help. A group of them are indeed working on the road. 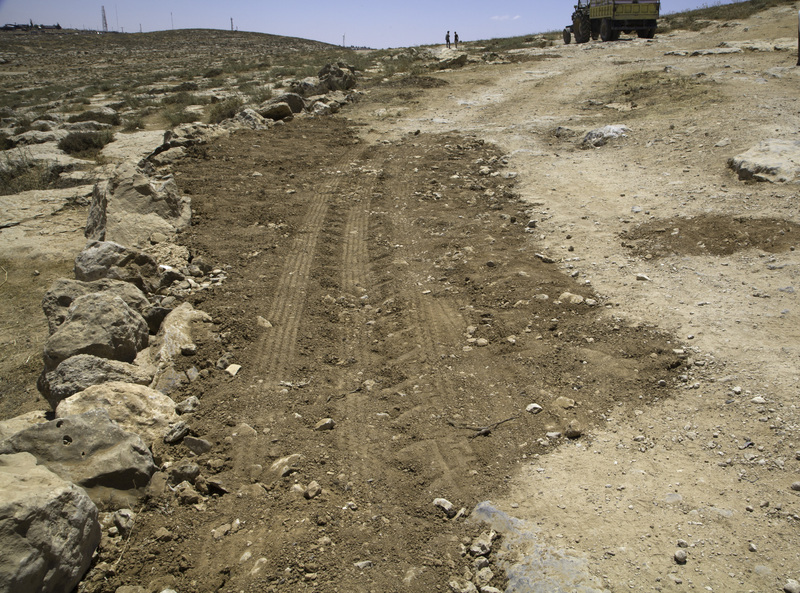 While the several truckloads of materials necessary to do the job would never make it past the checkpoint, filling holes in a road is itself a good idea for a group of twenty-somethings. This work accommodates any speed, any level of skill and any size group, by itself or with any number of other activists. 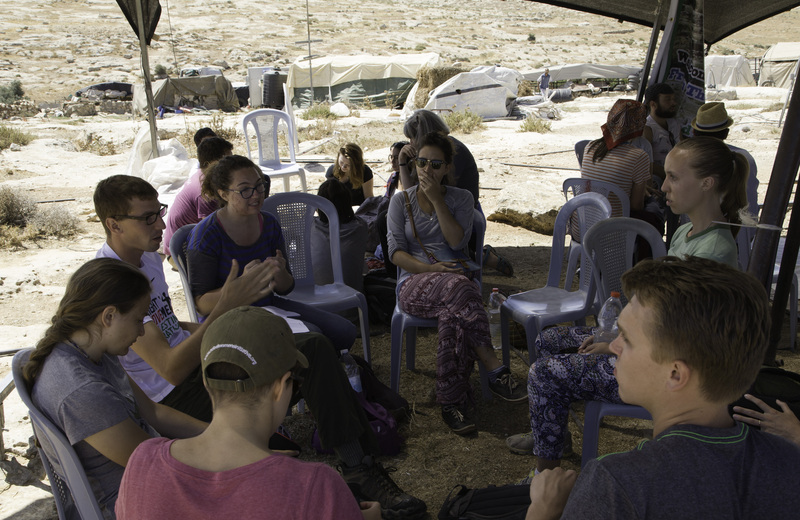 The cheerful but serious sounds of their discussions give the occasion the feeling of an oppositional answer to Taglit-Birthright, free ten-day trips whose aim is to encourage young Jews to identify with Israel and later to marry other Jews. By the following week it is Ramadan, and road work is something activists can do without supervision or help. 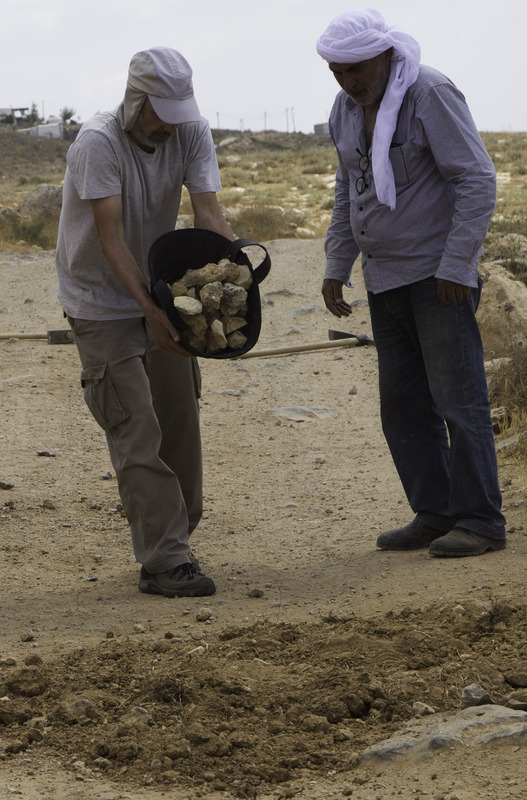 So, for a few more weeks, Ta’ayush volunteers will continue working on the road. 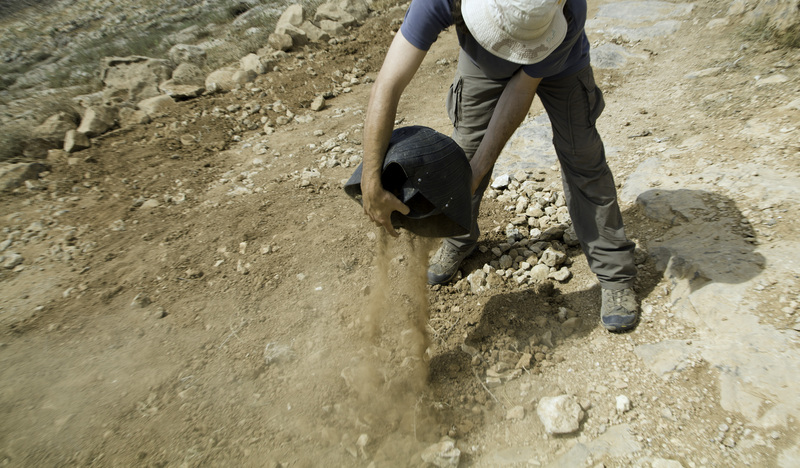 and collect dirt to cover the rocks. Feet and vehicles finish the task. Not that there is really any danger of finishing. Some of worst parts of the the road are too near a settlement even to think about working there. So while it is certainly helpful to fill some holes and smooth out some of the deep pits in the road, the road work is really a sign – like one that members of All That’s Left are painting back in the village. The work is a more beautiful sign, certainly. 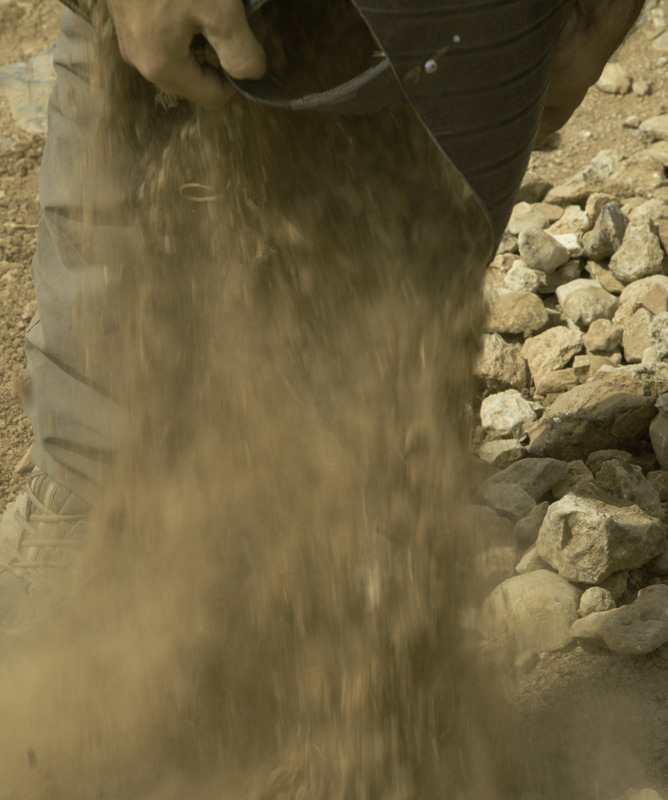 After all, quarrying can be photogenic. 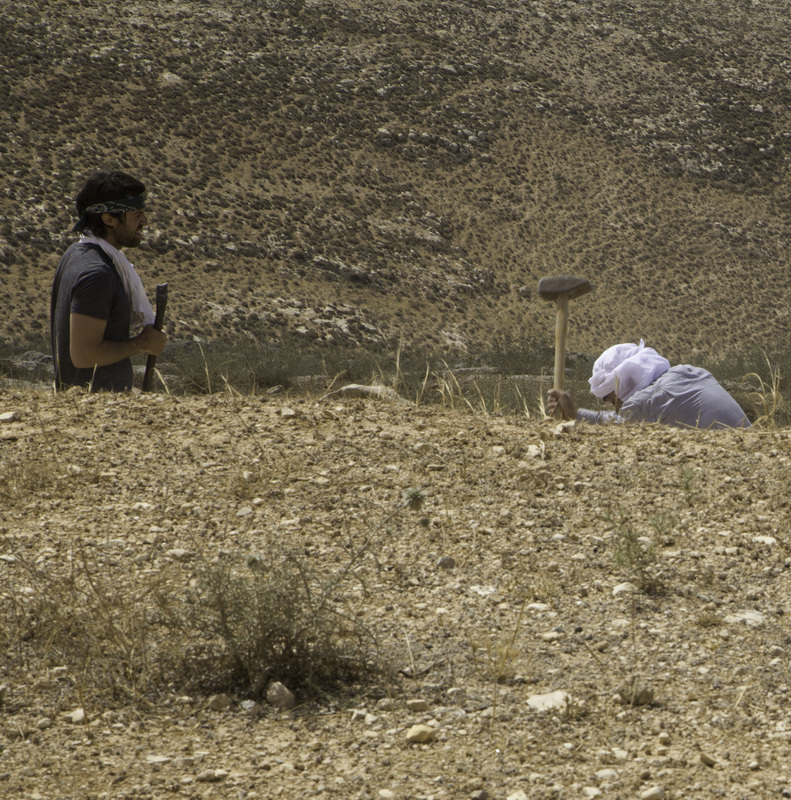 For all appearances this is a group of Halutzim, Zionist pioneers, clearing the land. Halutzim and even Birthright trips are frequent themes in All That’s Left’s website, Facebook page, and blog where members post photographs of themselves at work, contribute accounts of their experiences as young activists and perhaps recruit more members. Activists young and old need an imaginative vision of our work. Our visions differ one from another, but all have in common that they help us to avoid looking at the road and the insurmountable task of fixing it. When I ask fellow volunteers where this road leads, one person answers: the road leads to hope. No, answers another, the road leads to despair. 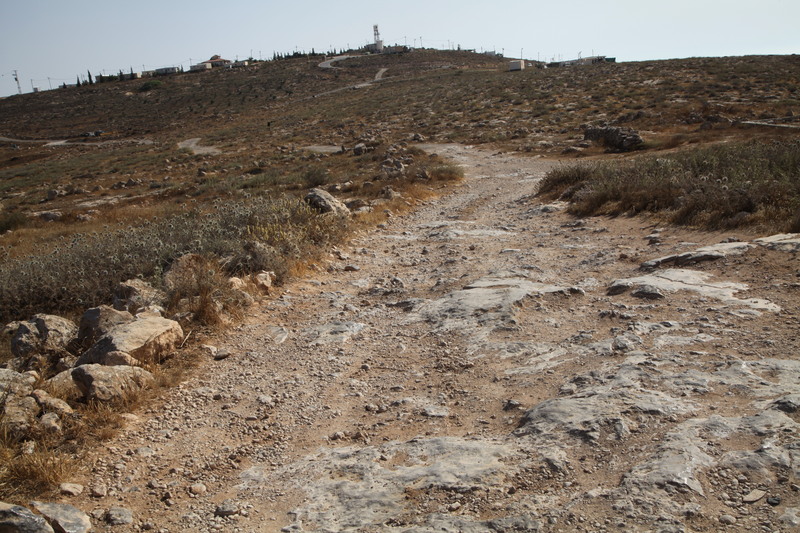 The road leads to Yatta, the nearest city. 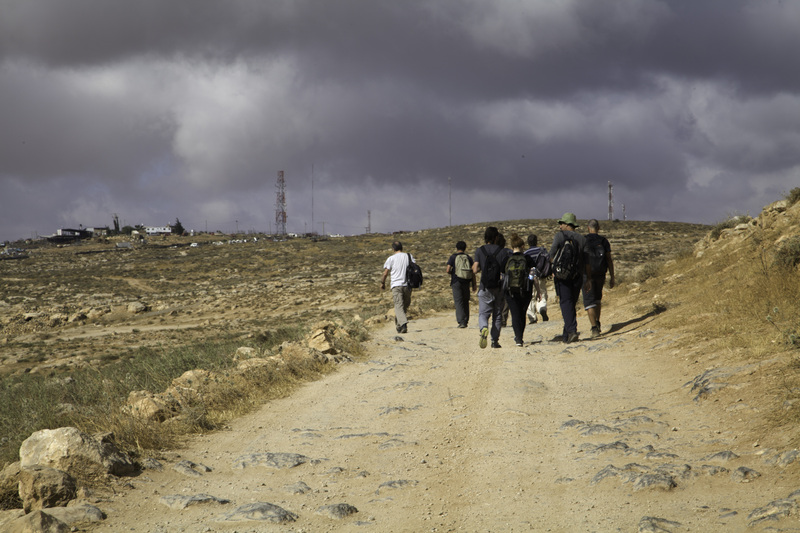 It is one of two roads that the inhabitants of Susiya can take to reach the city with their goods and shopping baskets. The goal is to help them get there. The goal is also to keep them away from Yatta. 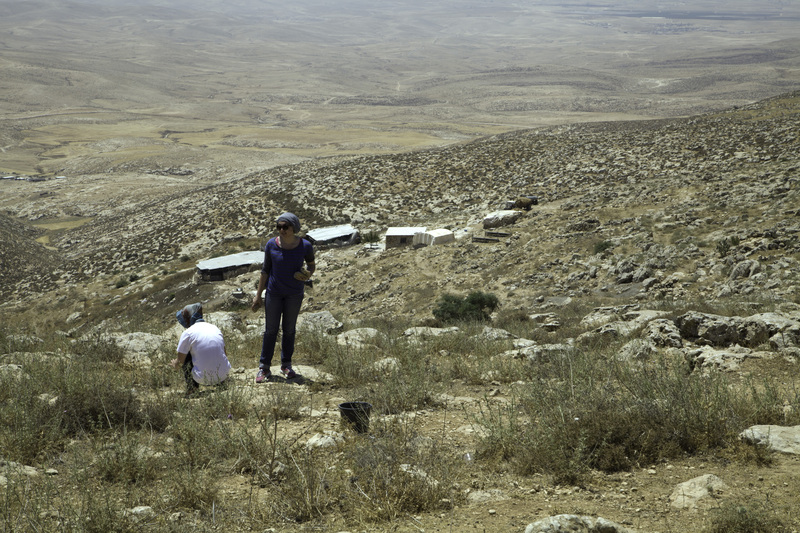 The demolition order against Susiya is contested, but in May a judge on the Supreme Court refused to stay the demolition in advance of the hearing in August. 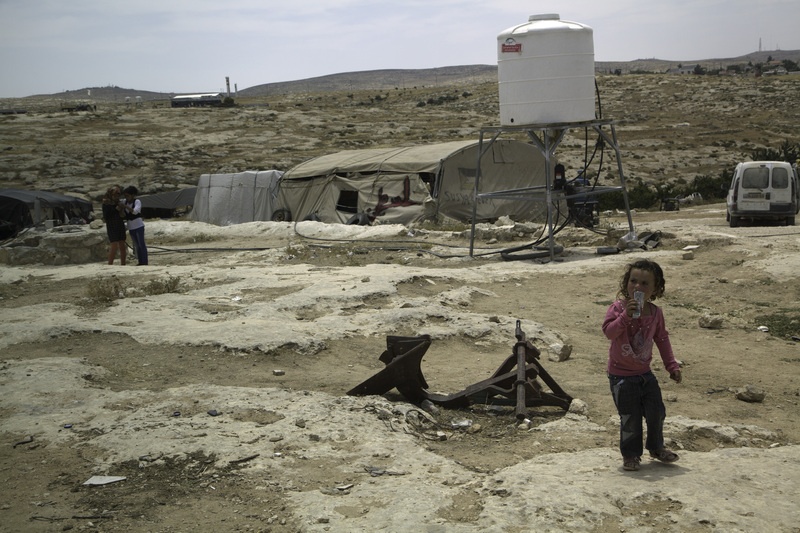 Many in the government, the nearby settlement, and the Civil Administration are set on demolishing the houses and forcing the residents of Susiya to move. They hope to send them to Yatta, whose inhabitants already have to deal with overcrowding, serious problems in infrastructure and in the areas of education, employment and healthcare, as well as lack of access to their land and their crops. 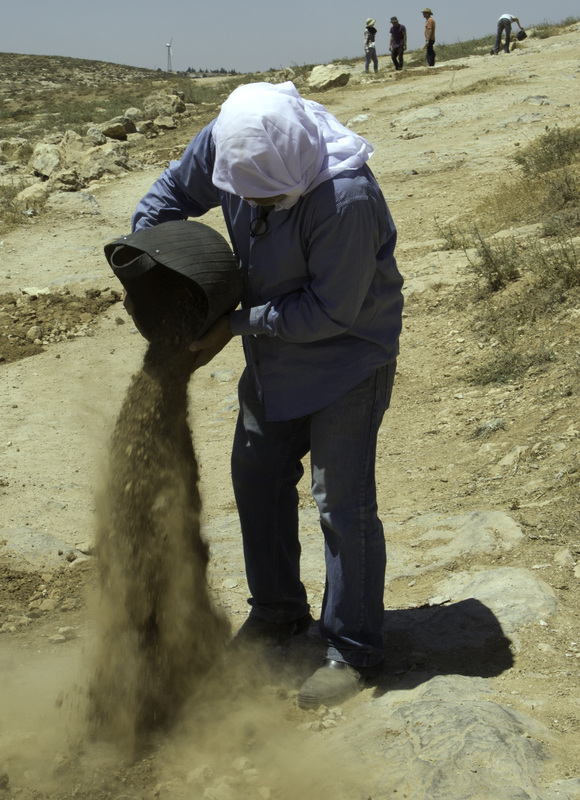 To add 340 residents of Susiya to this mix is unlikely to improve conditions. 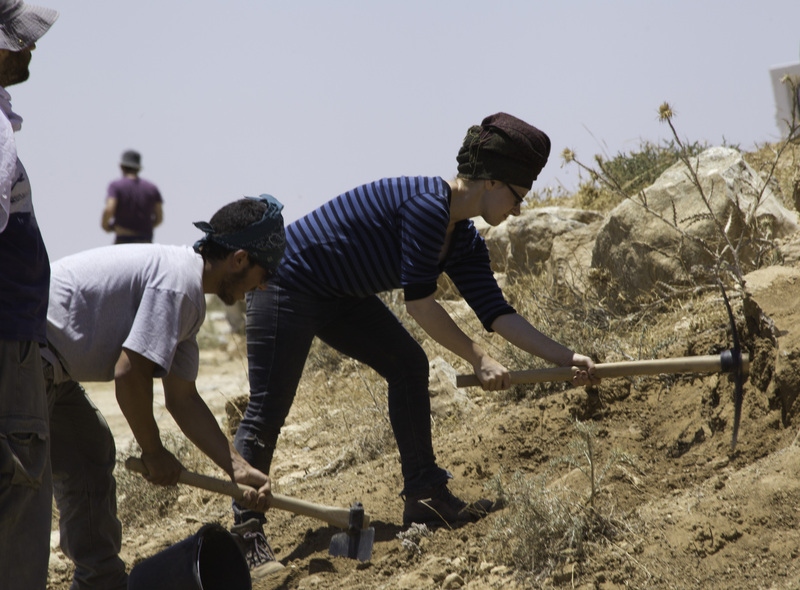 Surely when local Palestinians see us working on the road, they look past the activists and see their threatened homes, in Bi’r al-‘Id, perched below the road in “Firing Zone 918” or beyond, in Susiya. Surely the settlers also see, although to avoid their notice is important to the activists. If they do happen by, however, or look from their windows, settlers may see a slight delay in their plans to expand the settlements. They may see well-meaning do-gooders who do not understand the complexity of the situation. Some of them may see traitors and foreign agitators. Thankfully, no settlers come to disturb us today. Some watchers have power, but while we can see them, we do not know what they see. We know only that they have not yet carried out the demolition orders. Filling holes in a road, then, is a detour, though a necessary one, immediate help for people where long range help remains out of reach. It is also a medium, like photography, through which the occupation and its injustices are made visible. Photography itself offers another layer through which such actions are filtered. 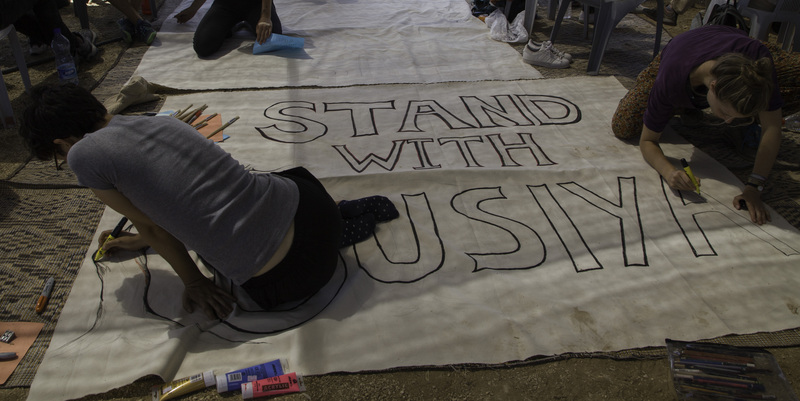 It can help turn the tiny village of Susya into a microcosm of the occupation, hopefully for dissemination by news and social media. When volunteers stop to watch themselves filling holes in the road, they see hope or despair or more likely they see both.